The Insatiable Critic: Summer Shorts '14 Bonus Listen Friday: The Velveteen Rabbit! 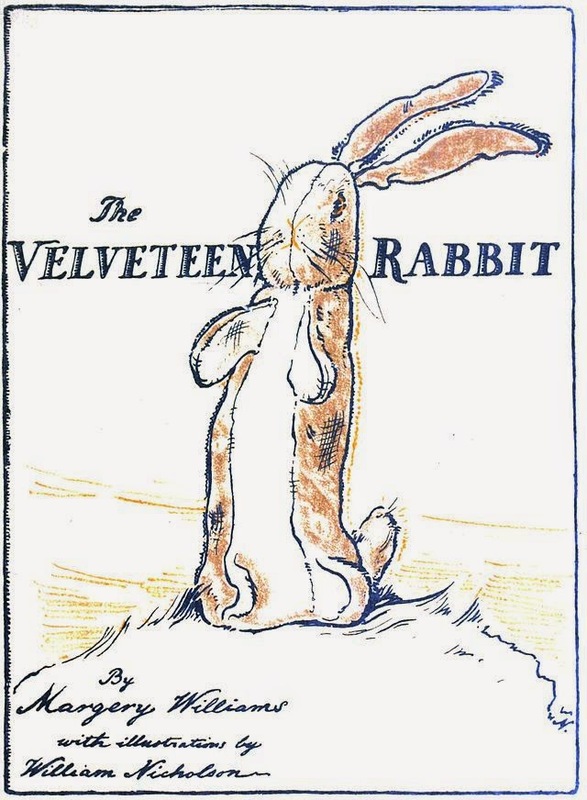 Summer Shorts '14 Bonus Listen Friday: The Velveteen Rabbit! "You were real to the boy because he loved you. Now, you shall be real to everyone." Happy Friday everyone! To keep rolling on the JIAM (June is Audiobook Month) party train, today I'm posting the next installment of the Critic's Pick/Bonus Listen Fridays of Summer Shorts '14, a collection, as you read last week, that is the product of a collaboration of Spoken Freely and Tantor Media, Inc. All proceeds from the sales of this collection will go to support ProLiteracy, a nationwide organization to that provides adult learning, content, and programs to help adult learners and advocate on their behalf. Today features a bonus listen of Margery Williams' The Velveteen Rabbit, narrated by by Cris Dukehart! For the purposes of full disclosure, while I do work for Tantor, I'm independently promoting this because it is one of my absolute favorite childhood stories - concept of being loved making you "real" is something that still brings tears to my eyes, even as I write this. Written in 1922, it was also published under the title How Toys Become Real and was Williams' first children's novel. Battle armor in ancient Japan was often adorned with rabbits because they are considered a symbol of honor and self-sacrifice, qualities which the brave little bun in this tale displays in spades. Original 1922 cover. Image courtesy of Wikipedia. I remember as a child reading an old copy that had the original cover design (see left) and how fiercely I loved my teddy bear which was uncreatively named "Teddy." When I took Teddy to girl scout camp with me, a girl sharing a tent with me snobbily declared, "You're 10 now. You shouldn't be carrying around stuffed animals. He's not real anyway." I remember clutching Teddy protectively to me and, strengthened by Ms. Williams' words, declared "Well, he's real to me!" Talk about fodder for a discussion on childhood existentialism. Ms. Dukehart brings a sincere and delicate charm to the retelling of this classic tale that resonates with children and grownups alike. A mother of three herself, she captures the childlike wonder of the retelling with her light, bouyant tones that remains true to the magic of the story without sounding indulgent or patronizing, making it a joy for both adults as well as children to discover for the first time, or revisit and enjoy. Take a listen to the right! When you're done, head on over to the wonderful book blog A Book and A Latte to read a little more about Ms. Dukehart's experience on narrating this tale and why she loves being a voice actress. 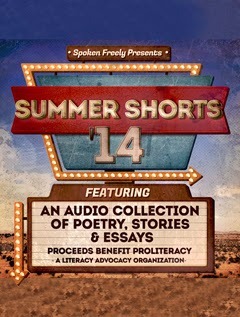 The short stories and essays keep rolling on! You can take a listen to today and tomorrow's new releases by following the link below! For the full schedule for the blog hop and how to hear more, please visit coordinator Xe Sands' blog Spoken Freely. Stay tuned for next Friday's Summer Shorts Critic's Pick!